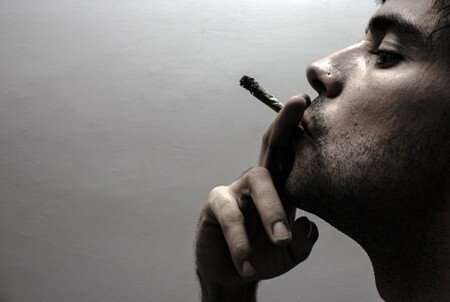 A 2015 study by Samuel T. Wilkinson and colleagues in the Journal of Clinical Psychiatry reports that among war veterans who completed a special treatment program for post-traumatic stress disorder, those who continued or began using marijuana after treatment had more severe PTSD symptoms, were more violent, and used drugs and alcohol more often. Those who stopped using marijuana or never used it had the lowest levels of PTSD symptoms in the study. Editor’s Note: Scientific information about marijuana is almost never reported in the media. Evidence of the adverse effects of heavy marijuana use are robust and consistent. A doubling of the risk of psychosis compared to non-users. People with a common variation in the enzyme COMT, which metabolizes dopamine, have an even higher rate of psychosis. An increased risk of bipolar disorder onset. A worse course of bipolar disorder. An increased risk of schizophrenia. Memory deficits that remain even after marijuana use has ceased. Loss of motivation (exactly what someone with depression doesn’t need). Anatomical changes in brain structures. A worse course of PTSD and increased violence in those with PTSD. Bottom line: Those who say marijuana is benign may be ill-informed. People with mood disorders, proneness to paranoia, or PTSD should stay away from marijuana. In boys, a decrease in the thickness of the cortex is a part of normal maturation. However, according to a recent study, this process is sped up in boys at high risk for schizophrenia when they use marijuana before the age of 16. Early use of marijuana has been linked to subsequent development of schizophrenia. Schizophrenia begins about 5 years earlier in males than in females, and the male brain goes through more structural changes during adolescence. A 2015 article by Tomáš Paus in the journal JAMA Psychiatry incorporated data from three studies, which took place in parts of Canada and England and eight European cities. The studies all included magnetic resonance imaging (MRI) scans of the participants, a measure of their genetic risk of developing schizophrenia, and questions about their past marijuana use. 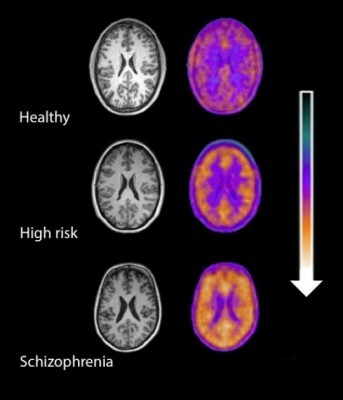 In boys at high risk for schizophrenia based on their genetic profile, cortical thickness dropped more among the ones who used high amounts of marijuana before the age of 16 compared to those who did not. Paus hypothesizes that the development of schizophrenia is a “two-hit process.” People who develop schizophrenia may have an early risk factor, such as their genetic profile or a problem that occurs in utero, and a later stressor such as drug use in adolescence. 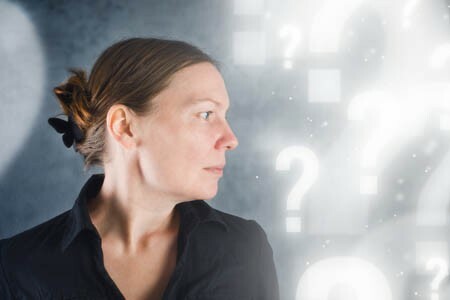 Many people with bipolar disorder suffer cognitive difficulties, and these may progress as a function of the number of mood episodes they experience. At the 2015 meeting of the International Society for Bipolar Disorders, researcher Eduard Vieta described the importance of directly prescribing diet, exercise, good sleep hygiene, smoking avoidance, and cognitive exercises designed to maintain cognitive reserves in people with bipolar disorder. Vieta stressed that one of the most important approaches to maintaining cognition is to help patients achieve and maintain remission. He also noted that those patients with lithium levels of .6meq/l or greater did not see cognitive deterioration. 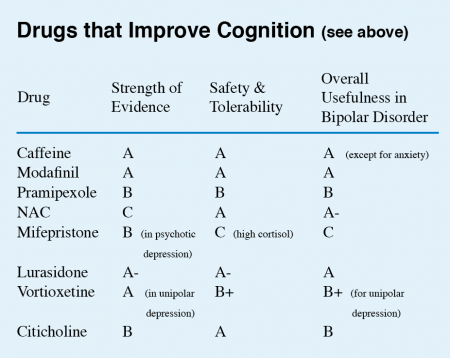 Some treatments for bipolar disorder can contribute to cognition problems. 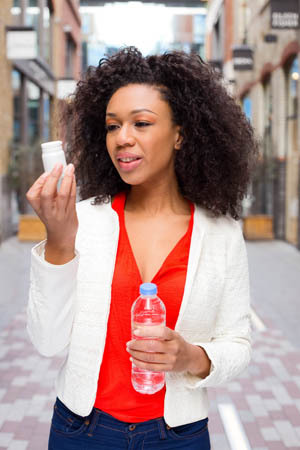 Topiramate and benzodiazepines can impair cognition, as can atypical antipsychotic drugs and certain antidepressants that block the neurotransmitter acetylcholine. Avoiding these treatments and those with sedative side effects may also be helpful. 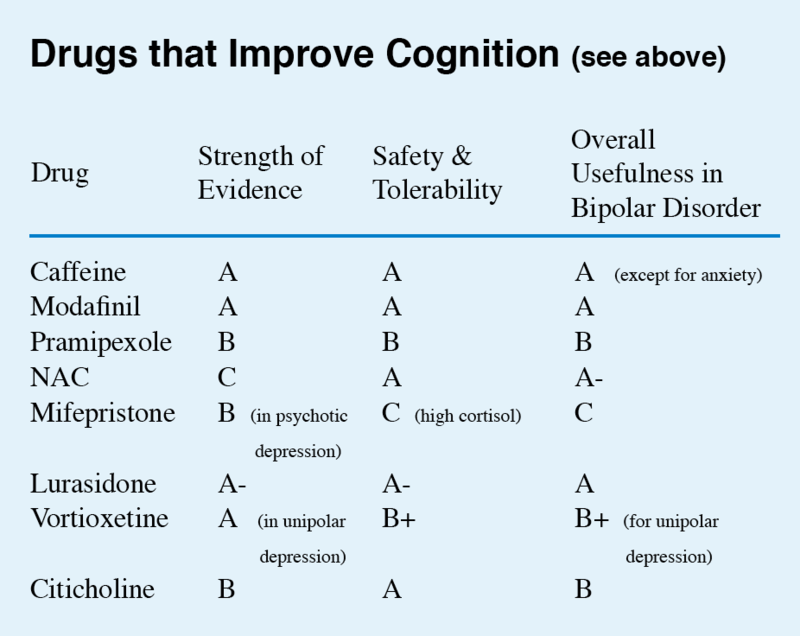 This editor (Robert M. Post) has taken the liberty of giving a letter grade (A to D) to each drug on Vieta’s list on the basis of the strength of the data supporting its efficacy, its safety and tolerability, and its overall usefulness for patients with bipolar disorder. These recommendations, like other material in the BNN, are subjective and likely to change as more systematic studies on these treatments are published. Two studies published in the Journal of Clinical Psychiatry in 2015 suggest that the new atypical antipsychotic brexpiprazole (trade name Rexulti) safely improves depression when added to antidepressant treatment. The 6-week studies, both by Michael E. Thase and colleagues, compared brexpiprazole to placebo in people who had not responded adequately to one to three antidepressants and were taking at least one antidepressant at the time of the study. The studies examined the effectiveness of different doses of brexpiprazole. Doses of 2mg/day and 3mg/day were more effective than placebo, while a dose of 1mg/day was not. The drug was well-tolerated by patients at each of these doses, although those taking the 3mg/day reported more side effects than those taking 2mg/day. The side effects included restless legs, weight gain, and headaches. Like the atypical antipsychotic aripiprazole (Abilify), brexpiprazole partially blocks and partially stimulates dopamine receptors. While aripiprazole allows 61% activity at dopamine D2 receptors, brexpiprazole allows 43%. It is not yet clear how the new drug’s effects may differ from those of aripiprazole. Another relatively new atypical antipsychotic drug, cariprazine (Vraylar) is approved by the Food and Drug Administration for schizophrenia and mania, but not yet for bipolar depression or as an add-on treatment to antidepressants in unipolar depression, although there are placebo-controlled trials showing that cariprazine can also treat these conditions. Like aripiprazole and brexpiprazole, cariprazine also partially blocks and partially stimulates dopamine receptors. Unlike them, cariprazine is more potent at dopamine D3 receptors, which are linked to mood, motivation, and drug reward, than at D2 receptors, which are linked to motor control. It is not yet clear how these differences may change treatment outcomes or side effects. N-acetylcysteine (NAC), an antioxidant available without a prescription in health food stores, has shown remarkable effectiveness when added to regular treatments for schizophrenia, bipolar disorder, and the substance abuse that often accompanies these illnesses. A 2008 article by Michael Berk and colleagues in the journal Biological Psychiatry reported that compared to placebo, 2 grams/day of NAC reduced both positive symptoms of schizophrenia (hallucinations, delusions) and negative symptoms (social withdrawal, difficulty planning and problem-solving). A 2013 study by Mehdi Farokhnia found that 2 grams/day of NAC improved negative symptoms in 42 patients with schizophrenia. 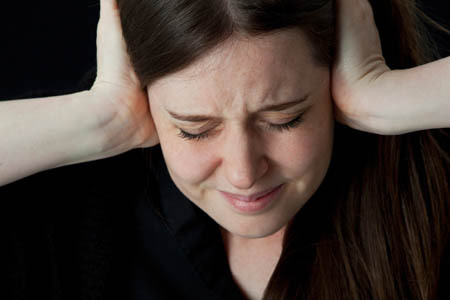 Two other studies found that NAC improved deficits in auditory sensory processing in people with schizophrenia. NAC also improves symptoms of bipolar disorder. A 2008 study by Berk and a 2011 study by Pedro Vieira da Silva Magalhães showed that NAC improved bipolar depression, and a small 2013 study by Magalhães showed that it improved mania in 15 patients. After 24 weeks, 60% of those who took NAC were in remission, compared to 15% of those taking placebo. NAC is also effective at reducing habitual behaviors such as substance abuse, which is common in patients with schizophrenia and bipolar disorder. Studies have shown that NAC can reduce patients’ use of marijuana, cocaine, alcohol, and nicotine. It is relatively safe with minimal side effects, and fights oxidative stress, which is also common in severe mental illness. NAC comes in 500mg or 600mg capsules. Dosing typically begins with one capsule twice a day for a week, followed by two tablets twice a day thereafter. As with any recommendations in the BNN, these should not be acted on without guidance from a treating physician. Microglial activity in the brains of people who are healthy, people at high risk for schizophrenia, and people who have been diagnosed with schizophrenia. A 2016 study by Peter S. Bloomfield and colleagues in the American Journal of Psychiatry used PET scans to compare the activity of microglia, immune cells in the central nervous system, in healthy controls, people with schizophrenia, and those at high risk for the illness. It found that both people with schizophrenia and those at high risk had greater brain inflammation than the healthy controls. The study was the first to show that microglial activity was elevated in people at high risk (who showed some preliminary symptoms of schizophrenia). The finding had a large effect size. Microglial activity was also correlated with symptom severity in the high-risk participants. Increased microglial activity was not linked to depression, suggesting that it is specific to the development of psychosis. These findings resemble those of other recent studies showing increased inflammation in people at high risk for psychosis. The study suggests that increased microglial activity occurs before a first episode of psychosis. That means it could help identify people who may develop schizophrenia. The findings also suggest that anti-inflammatory treatment could theoretically be used to prevent psychosis. By the time psychosis appears in someone with schizophrenia, biological changes associated with the illness may have already been present for years. A 2015 article by R.S. Kahn and I.E. Sommer in the journal Molecular Psychiatry describes some of these abnormalities and how treatments might better target them. One such change is in brain volume. At the time of diagnosis, schizophrenia patients have a lower intracranial volume on average than healthy people. Brain growth stops around age 13, suggesting that reduced brain growth in people with schizophrenia occurs before that age. At diagnosis, patients with schizophrenia show decrements in both white and grey matter in the brain. Grey matter volume tends to decrease further in these patients over time, while white matter volume remains stable or can even increase. Overproduction of dopamine in the striatum is another abnormality seen in the brains of schizophrenia patients at the time of diagnosis. Possibly years before the dopamine abnormalities are observed, underfunctioning of the NMDA receptor and low-grade brain inflammation occur. These may be linked to cognitive impairment and negative symptoms of schizophrenia such as social withdrawal or apathy, suggesting that there is an at-risk period before psychosis appears when these symptoms can be identified and addressed. Psychosocial treatments such as individual, group, or family psychotherapy and omega-3 fatty acid supplementation have both been shown to decrease the rate of conversion from early symptoms to full-blown psychosis. Using antipsychotic drugs to treat the dopamine abnormalities is generally successful in patients in their first episode of schizophrenia. Use of atypical antipsychotics is associated with less brain volume loss than use of the older typical antipsychotics. Treatments to correct the NMDA receptor abnormalities and brain inflammation, however, are only modestly effective. (Though there are data to support the effectiveness of the antioxidant n-acetylcysteine (NAC) on negative symptoms compared to placebo.) Kahn and Sommer suggest that applying treatments when cognitive and social function begin to be impaired (rather than waiting until psychosis appears) could make them more effective. The authors also suggest that more postmortem brain analyses, neuroimaging studies, animal studies, and studies of treatments’ effects on brain abnormalities are all needed to clarify the causes of the early brain changes that occur in schizophrenia and identify ways of treating and preventing them. In a talk at the 2015 meeting of the International Society for Bipolar Disorders, researcher Eric Youngstrom showed that mothers’ evaluation of their children’s psychiatric symptoms was more valid than both teacher ratings and the children’s own evaluations. Parents were better at detecting irritability, while children were better at assessing their energy levels and the quality of their sleep. 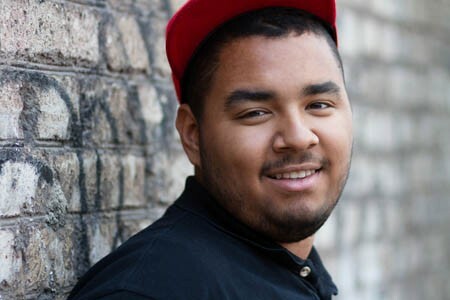 Youngstrom reported that about 2% of children worldwide are diagnosed with bipolar disorder. However, when bipolar disorder not otherwise specified (BP NOS), a diagnosis given when symptoms do not meet the diagnostic criteria for Bipolar I or II, is included in the statistics, rates of bipolar disorder among children in the US reach about 6%. Youngstrom mentioned that an epidemiological study by Kathleen Merikangas found that among children in the US with a bipolar spectrum diagnosis, only 22% were in treatment, compared to 38% of those with depression and 60% of those with ADHD. Parents of children (aged 2–12) with mood, anxiety, and behavioral disorders are invited to join the Child Network, our program for tracking weekly symptoms which can then be printed out longitudinally to share with the child’s doctor. At the 2015 meeting of the International Society for Bipolar Disorders, researcher Martin McInnis described how stem cells can be used to identify biochemical abnormalities in patients with bipolar disorder. 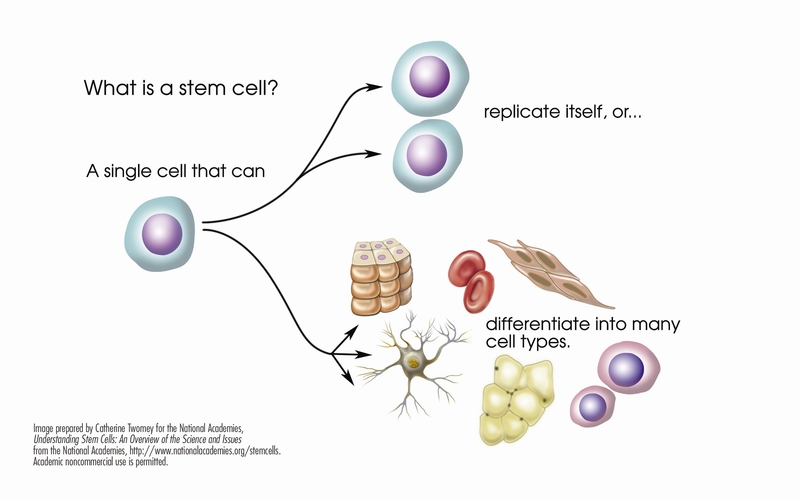 In this research, the stem cells, or IPSCs (for induced pluripotential stem cells), are created when cells from skin fibroblasts, which produce connective tissue, are treated with chemicals that cause them to de-differentiate back into stem cells. 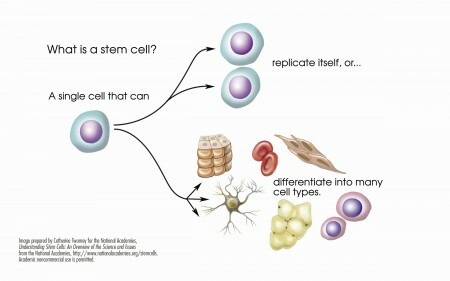 McInnis identified several abnormalities in the stem cells of patients with bipolar disorder. Stem cells with the gene CACNA1C, which is associated with vulnerability to bipolar disorder, fired more rapidly than non-CACNA1C stem cells. There were other abnormalities at the NMDA glutamate receptor and an imbalance of the neurotransmitter GABA in the cells. When the cells were treated with lithium, some of these abnormalities were reversed. In the cells with the CACNA1C gene, lithium normalized the firing rate. Lithium aslo re-balanced the distribution of GABA in the cells. McInnis hopes that this stem cell research will shed light on the abnormalities associated with bipolar disorder, help explain how lithium corrects some of these, and lead to the development of new therapeutic approaches. Mixed depression describes a state of depression accompanied by a few symptoms typically associated with mania. At the 2015 meeting of the International Society for Bipolar Disorders, researcher Roger McIntyre shared some findings about mixed depression. People with mixed depression have higher levels of MHPG, which is produced as the neurotransmitter norepinephrine breaks down. They also have higher levels of the stress hormone cortisol and their depressions are more difficult to treat. Those with unipolar mixed depression may respond poorly to traditional antidepressants. There are also medical risks associated with mixed depression. People with mixed depression are more susceptible to cardiovascular disease than are people with depressive symptoms alone. The drugs lurasidone, olanzepine, and ziprasidone have each shown efficacy in mixed depression.